When you want cost-effective and reliable air conditioner services, call Green Tech Heating & Cooling, an air conditioner company right in Evergreen, CO. We have been supplying air conditioner services to this area for many years, ensuring they receive fantastic cooling. On top of AC services, we also offer heating system services. To get outstanding heating and air conditioner services for your residence or company, contact us at (720) 276-1403 to set up an appointment! We are anxious to work with you and guarantee that your AC is functioning the best that it can. 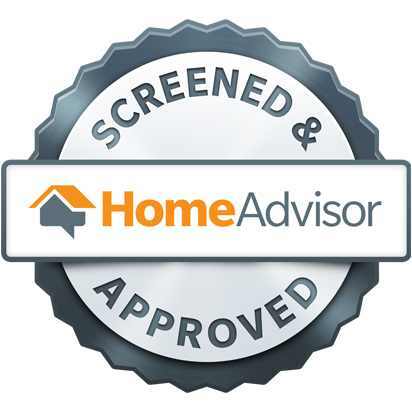 Air Conditioner Replacement and Installation Do you need an air conditioner replacement? Looking to upgrade to a new AC? Call us for air conditioning replacement and installation. Air Conditioning Maintenance To get routine maintenance for your AC, feel free to call our company. Central Air Conditioning Repair For clients who need their central AC fixed, contact our company. Emergency Air Conditioner Repair Whenever you want our assistance with an air conditioning problem that can’t wait, contact our company to get emergency air conditioning repair! When its cold and you require your heating for warmth, getting repairs when your heating system isn’t working like it should is necessary. To get great heating service for your heater, just contact Green Tech Heating & Cooling. If you own a boiler, furnace, or other heater, you are able to rely on us for repair service. There will be situations when repairs just won’t cut it, in that case our company can provide heating replacement service. Give our heat and air conditioner company in Evergreen, CO a call at (720) 276-1403 to make an appointment for heating. Boiler Repair & Replacement To get skillful repairs or replacement service for your boiler, look to our heating and cooling contractors. Central Heating Repair Get central heating repair service by contacting our technicians to schedule an appointment. Electric Furnace Repair & Replacement Own an electric furnace that needs repairs or a replacement? Call our HVAC contractors today! Electric Heat System Repair For repair service for your electric heat system, call Green Tech Heating & Cooling for professional repair service. Gas Furnace Repair and Replacement Get in touch with our heating and cooling company if you should need repairs or replacement service for your gas furnace. Heating Maintenance Heating upkeep not only prevents repairs, it is able to lengthen the lifespan of your heating system. Does your company require services for their air conditioning or heating unit? Our contractors are ready to assist you! It doesn’t matter if you require repairs for your AC or heating system, Green Tech Heating & Cooling is the heating and air conditioner company in Evergreen, CO to rely on for exceptional commercial HVAC services. Your company is vital to us, so when you are having issues with your commercial air conditioner or heating unit, you are able to call us at (720) 276-1403 to set up an appointment. Commercial Air Conditioner Repair When you want to get your commercial AC repaired, just call Green Tech Heating & Cooling! Commercial Boiler Repair We are the commercial heating and cooling contractors to contact when you need expert boiler repairs. Commercial Boiler, AC & Furnace Service We don’t just offer repair service for your air conditioning, boiler, and furnace, our technicians can even clean and provide upkeep. Commercial Furnace Repair Whenever you require repairs for your commercial furnace, recognize that you can depend on us for quality service. 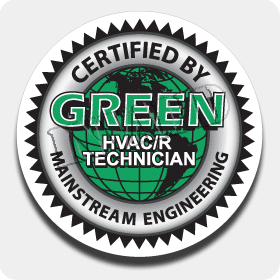 Commercial Rooftop HVAC Repair At Green Tech Heating & Cooling, our technicians can provide quality commercial rooftop heating or cooling repair. In your heating and AC system, there are a number of components that work together to guarantee it functions the way it needs to. The most frequent ways heating and air conditioning components quit working is because of faulty installation or insufficient upkeep. If we are able to fix the component, we will, but if it’s very damaged then we will replace the part. Get in touch with our heating and air conditioner company in Evergreen, CO at (720) 276-1403 if you require a repair or a replacement for HVAC components. AC & Heater Capacitors Replacement If our technicians locate any issues with your AC or heating system capacitors, our contractors can replace them with a new one. HVAC Blower Repair & Replacement To receive a whole HVAC blower replacement or repair, contact Green Tech Heating & Cooling. HVAC Circuit Board Replacement Reach out to us in order to find out if the root of the problem has to do with a defective HVAC circuit board. HVAC Relay Replacement For outstanding heating and cooling relay replacement service, Green Tech Heating & Cooling is ready to help you. HVAC Thermostat Repair, Replace & Upgrade To get a replacement or repair for your thermostat, contact us! Our HVAC company also provides upgrades on thermostats.